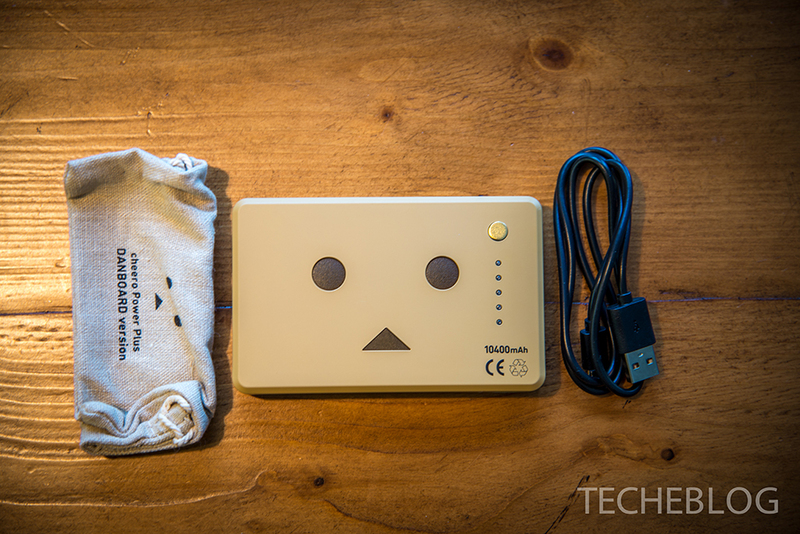 Cheero’s Power Plus Danboard Edition may look like an anime robot, but it’s actually a 10400mAh power bank, and the number one selling battery charger on Amazon in Japan to boot. 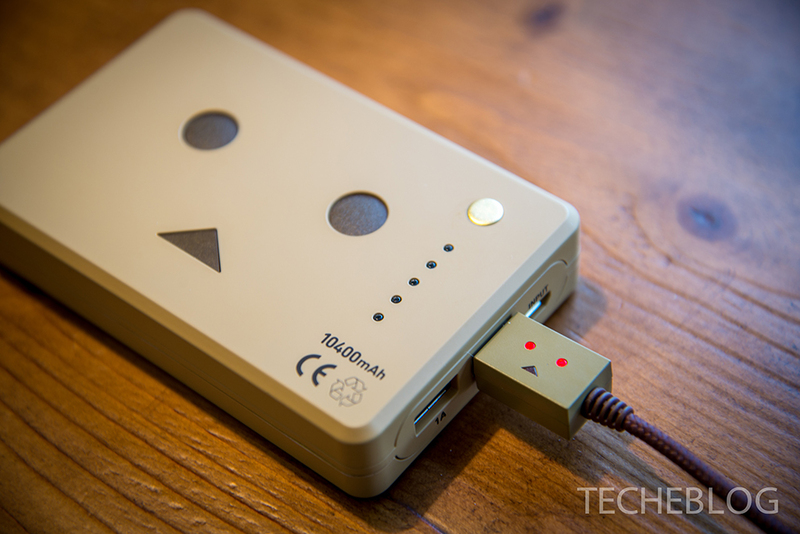 When paired with the Danboard Lightning and microUSB cable, you’ll know exactly when your gadgets are finished charging, thanks to the clever blinking eyes. 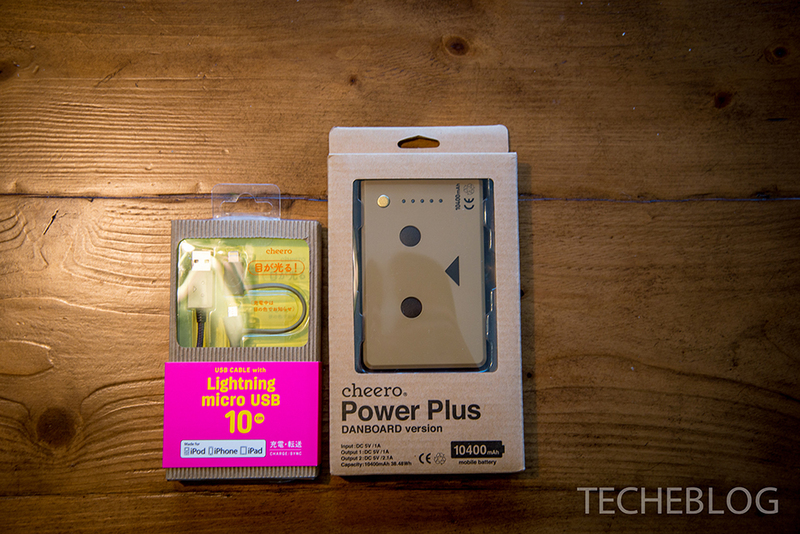 We recently got some hands-on time with these two accessories, and they’re definitely more functional than you expect, to the point where we charged an iPhone 6 Plus from 0% – 100% battery nearly three times. Company page. Continue reading for our full review and hands-on images. Right when you lay eyes on the packaging, you’ll notice that both the Danboard USB cable and battery charger come in matching cardboard boxes. Inside the Power Plus, there was a similarly themed carrying bag, microUSB cable and the power bank itself. On the device, you’ll find a power button with LED indicators, USB 1A port, USB 2.1A Fast Charge port, and a microUSB input port. The finish is smooth, and the eyes + nose are actually a rougher texture, rather than stickers, to ensure that they hold up to daily wear and tear without rubbing off. 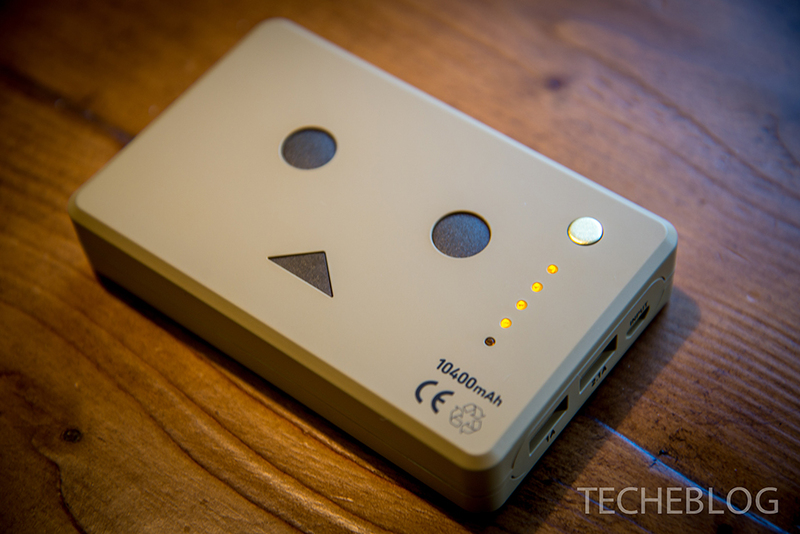 As for charging, the device can charge two devices simultaneously, and once finished, the unit automatically shuts off to prevent over-charge. 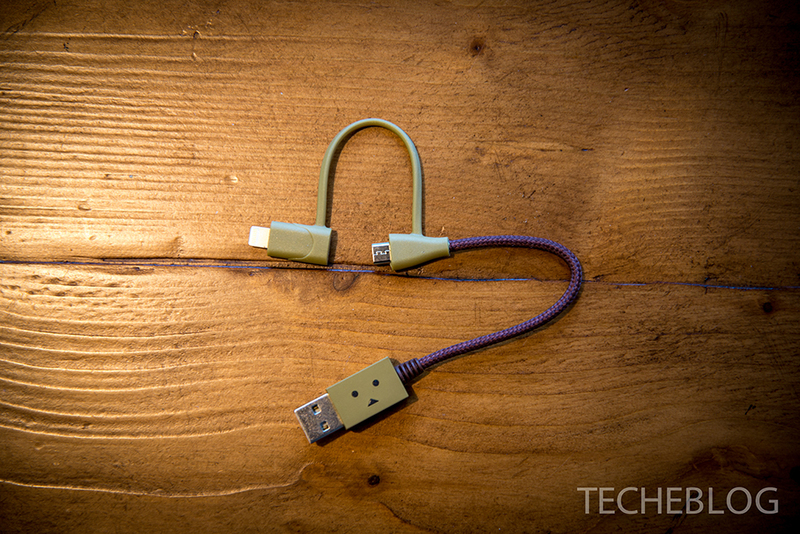 The Danboard USB cable is very simple to use and serves dual functions as both Lightning as well as microUSB cables – simply slide the cap on and off to use either. Or, you can just use the cable to sync with your computer without issue. In our tests, the Power Plus successfully charged an iPhone 6 Plus 2.5-times, iPad Mini twice and a Nexus 5 four times over. However, make sure to press the power button, or else charging will not start. Once drained, you can use the microUSB input port and charge the device via computer or AC adapter. 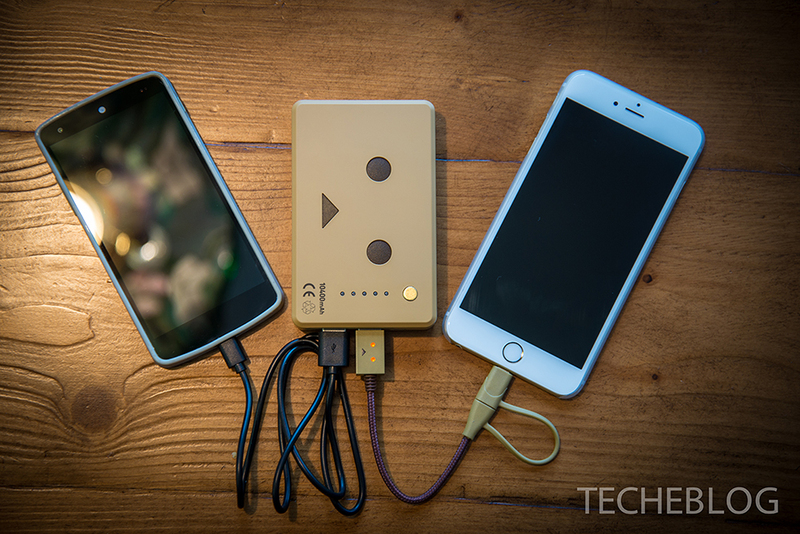 Overall, we’ve found yet another 5-star power bank + USB cable to add to our everyday carry bags, one that combines form as well as function into a fun package. Attention to detail is second to none, as we couldn’t find one blemish on either product. If you’re interested in picking one up yourself, just head on over to this page.